We exhibit wide quantity of Cotton Waste which is extensively used as raw materials for the production of various textile products. 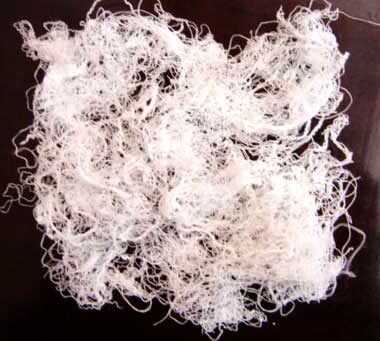 This raw cotton waste is utilized in number of engineering unit, refinery, automobile industry, textile industries and all industries users for manufacturing of varied cotton items. We provide cotton yarn waste in desired quantities as demanded by the esteemed customers. This textile cotton waste has an easy accessibility and can be obtained at cost effective prices. 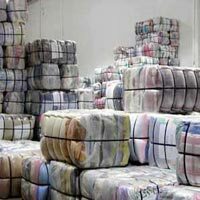 We are identified as one of the celebrated cotton waste manufacturers as well as exporters from India. We are engaged in manufacturing, exporting and supplying the premium quality Cotton Cloth Whiper Bales that are available in various colors. They are made keeping in mind the needs of the customers, hence they are widely used in the various industries. We are counted amongst the leading manufacturers, exporters and suppliers of the premium quality Colour Cotton Waste. Our Colour Cotton Waste is highly used in the various industries as they are highly cost effective.